We are taught early in our Christian orientation by our parents or guardians, and our church, about the Ten Commandments (Exodus 20: 2-7/Deuteronomy 5: 4-21) – given first to the people of Israel, the basis of Jewish life, law and faith, and the embryonic root of Christianity; essentially, a call to worship, how to worship, and precepts for the highest ethical conduct. Liturgically, the Decalogue is not normally cited at our weekly Sunday Worship, but we do reaffirm our adherence and commitment to this revelation from God in Christ's summation (Matthew 22: 36-40) as presented in the order of service (MCCA Prayer Book)for public worship on the Lord's Day. The statement: "Love the Lord your God with all your heart and with all your soul and with all your mind and with all your strength" are contained in the first four commandments; the last six are encapsulated in the statement: "Love your neighbor as yourself". But Jesus further expanded the theme of the latter six-grouping of the commandments, stated in our Prayer Book accordingly: "And a new commandment I give to you, that you love one another even as I have loved you, that you also love one another". Here it should be noted that we ought to love not only our neighbour (neighbour as defined by the ancient Hebrews), but to love [and be just, by extension] to everyone, even our adversaries. "You have heard that it was said, 'You shall love your neighbour and hate your enemy.' But I say to you: love your enemy and pray for those who persecute you" – Matthew 5: 43-44. The character of Jesus's teaching in this regard, appears to be, in a nutshell, that in being obedient to God's Will, the Law is not enough, it is the spirit in which someone acts that matters rather than the mere conformity to a set of rules, and the belief that it is the inner thought rather than the outer deed that really counts. And this has a special bearing to the Ninth Commandment. We often reference this commandment using only the first six words: "Thou shall not bear false witness", leaving out "against thy neighbor", because It begs the question, just who qualifies and who doesn't as one's neighbor, more so, as according to Talmudic law, only a brother Hebrew is a neighbour. In the contemporary world of today, how would we have interpreted "neighbour" in terms of its "tribal" implications, that is, in reference to the historical and cultural context of the Old Testament? Is "neighbour" only your relatives and/or circle of friends, or only the neighbourhood folk in your residential block, or only your community, or only your fellow countryman? And does such an interpretation justify "bearing false witness" against non-relatives, or people of a different class, race or religion, political ideology or political party, or nation? For the ancient Hebrews, anyone coming forward to accuse someone of a crime, to bear witness against them, served as prosecutor for the people – the legal system of that time did not include the position of an official state prosecutor. And anyone caught lying during their testimony could be forced to summit to whatever punishment would have been imposed upon the accused – including even death. Hence, the Ninth Commandment was originally understood to prohibit lying in a "court of law" that was applicable at that time to the ethics of the Hebrew people. But we as Christians fully acknowledge that God is a God of the Universe, and his precepts are to be followed by all the peoples of the Earth, and so, the Ninth Commandment must be viewed by the followers of Christ in the broadest sense: it applies to all people and prohibits all forms of lying and deceit. False testimony is unethical no matter against whom it is given, for "truth is truth to the end of reckoning". Indeed, "Truth for truth's sake is the highest ethical concept and the very quintessence of justice". Indeed, as a Christian, one is expected to speak truthfully even though it may be to one's own detriment, and one should not fault others for one's own misperceptions, misconceptions and/or misjudgments. But how aware are we – in thought, word and deed – of this commandment in our daily lives? In all honestly, do you keep tabs on your transgressions in regard to this commandment, day in day out? Do you really live-up to this moral ideal, to live without telling a lie or never being deceitful to someone; or have you ever contemplated where or when you will draw the line against what to you constitutes a violation of this commandment? In other words, Just how important is being truthful to you, more especially when you feel your personal integrity is being challenged? But can one be certain who, if anyone is telling the truth. It seems like almost everyone tries to balance the risk of being caught against perceived benefits of lying, more especially in relation to safe-guarding one's public credibility and influence. And sometimes it becomes apparent, that some among us are inclined to go to great lengths to hide the truth by boldly initiating networking "smokescreen" scams, or engage in the manipulative use of signs and language that defies accountability, for one's own self-purpose under the guise of altruism or patriotism. And on the other hand, some of us, in pursuit of truth and justice engage self-righteously in deceitful information-gathering ("fishing" and "trapping") manipulations in an attempt to find out what others may be hiding, that violates privacy and other human rights violations without probability for legal redress. Is our nation, and the world of today becoming like Isaiah's description of ancient Israel? "No one brings suit justly, no one goes to law honestly; they rely on empty pleas, they speak lies, conceiving mischief and begetting iniquity" (Isaiah 59: 4). 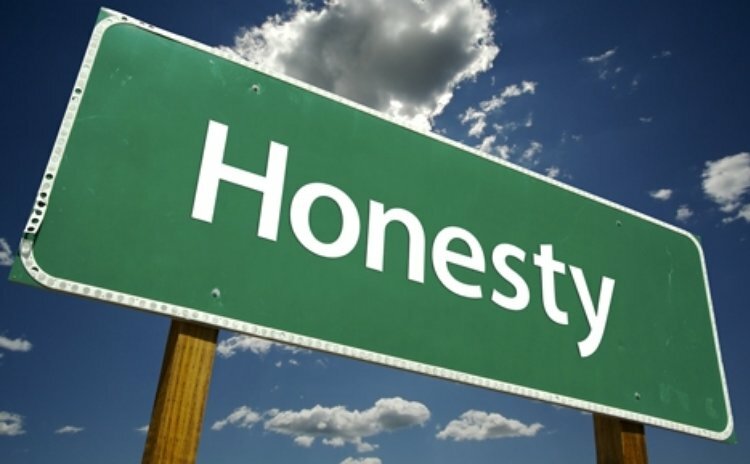 In an article "The Truth about Lying" by Allison Kornet, in the magazine "Psychology Today", the first sentence reads: "Deception is rampant – and sometimes we tell the biggest lies to those we love most". The article informs that "until recently lying was almost entirely ignored by psychologist, leaving serious discussion of the topic in the hands of ethicist and theologians …. But as psychologists delved into the details of deception, they're finding that lying is a surprisingly common and complex phenomenon". The article goes on to cite a number of studies on the subject undertaken by research psychologist. Here are some of the conclusions from these studies. One researcher, DePaulo and her colleagues found that "most people lie once or twice a day – almost as often as they snack from the refrigerator or brush their teeth. Both men and women lie in approximately a fifth of their social exchanges lasting 10 or more minutes; over the course of a week they deceive about 30 percent of those with whom they interact one-on-one. Furthermore, some types of relationships, such as between parents and teens, are virtually magnets for deception". And it should be noted that when researches refer to lying, they don't include the mindless pleasantries or polite equivocations we offer each other in passing, for example, "I'm fine thanks" or "No trouble at all". An "official" lie is taken by psychologist as one that misleads, deliberately conveying a false impression; complimenting a friend's awful hairdo, or giving a creditor a check that you know will bounce, both qualify as examples. Nevertheless, one has to be mindful that insignificant off-the-cuff remarks can sometimes be used out of context, or passed on in a voice tone that changes the original communicative intent or meaning to a third-party audience, or which can be blown, hilariously or satirically, out of proportion, that may result in unintended consequences. Saxe, another researcher, points out that lying is integral to many occupations. Just think of how often we see lawyers constructing far-fetch theories on behalf of their clients, or media reporters and other informers, misrepresenting in order to gain access to good or scandalous stories, or to slant messages in support of their personal advocacies, or to please their sponsors. And, what about politicians? Indeed, one of the two commandments which are especially applicable in public life is the Ninth Commandment (the other is the Eight Commandment). Not only every politician, high or low, but every citizen interested in politics, and especially every individual who advocates or condemns any public policy or public personality should always remember that the two cardinals points of his/her moral compass ought to be: "Thou shalt not bear false witnesses against thy neighbour", and "Thou shalt not steal". And one should keep in mind, that the multitude of human beings who break the moral law expressed in these two commandments are not to be justified because they keep out of the clutches of human law. Public honesty is not so much as a credit to society; it is an absolute prerequisite for the efficient and smooth workings of human society. Respect and trust is essential for free and effective communication, meaningful human cooperation and fair competition, progressive business negotiation and trading and, in general, for the maintenance of peace and the good order of society. History points out the danger to a country from the failure of its public men and women to live up to the Eight Commandment and from the callousness of its citizenry that permits such shortcomings. And, the danger may be quite as onerous from those who consistently violate the Ninth Commandment; bearing false witness either against an honest man or woman in order to degrade, or, on other side of the coin, to elevate a dishonest man or woman. Under statute law, a man or woman is guilty who lies under oath or procures the lie of another under oath, that is, perjures himself or herself or suborns perjury. Under the Ninth Commandment, he/she is as guilty if, instead of lying in a court, he or she lies, or misrepresents the views of someone, or misconstrues someone's good intentions, either in a newspaper, or in their social or political (overt or covert) networking activities, verbally or via modern communication technology. The evil effect of such conduct, in all probability, is infinitely more wide-spread and more pernicious. And such a sin is peculiarly more revolting when coupled with hypocrisy, or when it is committed in the name of morality or is executed with criminal intent. Dishonesty also pervades our romantic relationships. According to psychologist Dory Holder: "eighty-five percent of couples interviewed in a 1990 study of college students reported that one or both partners had lied about past relationships or recent indiscretions", and DePaulo found that dating couples lie to each other in about a third of their interactions – even more often than they deceive other people". Marriage seems to offer some protection against deception: "Spouses lie to each other in 'only' about 10 percent of their major conversations". However, DePaulo began looking at the less frequent "big" lies that involve deep betrayals of trust, and she is finding that the vast majority of them occur between people in intimate relationships. But what about what one could call "sweet little lies" or "white lies"? Some lies most definitely produce interpersonal friction; others may actually serve as a kind of "harmless" social lubricant. "They make it easier for people to get along" says DePaulo. She further elucidates that "fake positive" lies – those in which people pretend to like someone or something more than they actually do – are about 10 to 20 times more common than "false negative" lies in which people pretend to like someone or something less. Research also confirms that the closer we are to someone, the more likely it is that the lies we tell them will be altruistic ones; this is particularly true of women. Although men and women lie with equal frequency, women are especially likely to stretch the truth in order to protect someone else's feelings. Men on the other hand are more prone to lying about themselves. Some of them also point out that anyone under enough pressure, or given enough incentive, will lie. And DePaulo and Deborah A. Kashy have reported that "frequent liars tend to be manipulative and Machiavellian". It is difficult for us humans to know for sure who is lying and who is not lying in any given circumstance. Currently technology doesn't help very much; few experts display much confidence in the deception detecting ability of the polygraph. "The premise of a lie detector is that a smoke alarm goes off in the brain when we're doing something wrong", explains Saxe, "But sometimes we are completely comfortable with our lies." A criminal can easily go undetected if he has no fear of telling it. Similarly, a true statement by an innocent individual could be misinterpreted if the person is sufficiently afraid of the examination circumstances. But what could happen if we could reliably tell when our family, friends, colleagues, civil leaders and government were deceiving us? Would the world be a better place purged of our deceptions that seem to interfere with our attempts at genuine communication or intimacy? But God always knows the truth, the absolute truth. He wants His people to be truthful – in all circumstances – an unflinching obedience to the Ninth Commandment. Do you agree? Is honesty the best policy?